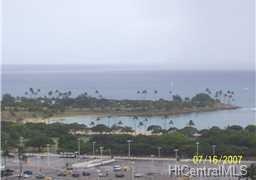 One of luxury high-rise condo in Ala Moana Area. Most desirable unit, 06 stacl (E model). 2 Bedroom, 2 bath, plus a den. 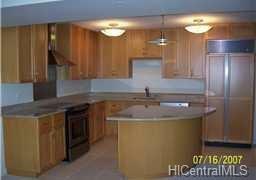 Larger kitchen cabinet space and island. Central A/C. Internet, Basic Cable TV, Telephone are included in the maintenance fee. Enjoy the ocean view from living area, kitchen, and both bedrooms. Building amenities are Party room, DVD theater, Tennis, Pool, Golf Practice range, BBQ area. Tenant is on a month to month lease. Listings provided courtesy of Koam Realty.